So, you’ve decided to sell your business. The journey can be rather complex, with several things to consider. The amount you profit will depend on the reason you’re selling, the time you decide to sell, the strength of business operations, and its structure. The selling process is going to require a lot of your time, so it’s best to get it right to ensure a smooth and profitable sale. Here’s our guide to selling your business. Potential buyers want to know the reason why you’re selling your business. The better the answer you give, the more interested they will be. Try to prepare for your sale as early as possible, even one to two years ahead of time. Use this time to improve financial records, business structure and customer base – all factors that will make the business more profitable. Trying to sell a business that’s fading is going to be a hard sell, so aim to sell on a high. To find out how much the business is worth, obtain a third-party valuation to ensure you don’t sell it too high or too low. A detailed document will be created and used to bring credibility to your asking price. Selling your business yourself will help to save money and avoid paying broker’s commission, though is best used when selling to trusted family or current employees. A broker will help to free up your time and allow you to keep the business up and running while you go through the sale process. They will also try to get the highest price possible. Collect all of your financial statements and tax returns dating back three to four years, and review them with an accountant. Also, develop a list of equipment being sold with the business. Selling a business can take a while, sometimes between six months to two years, as finding the right buyer can be a challenge. Try not to limit your advertising to attract more potential buyers. 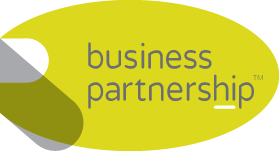 If you need assistance in selling your business, contact Business Partnership. We have a proven track record in supporting business owners to sell their businesses.